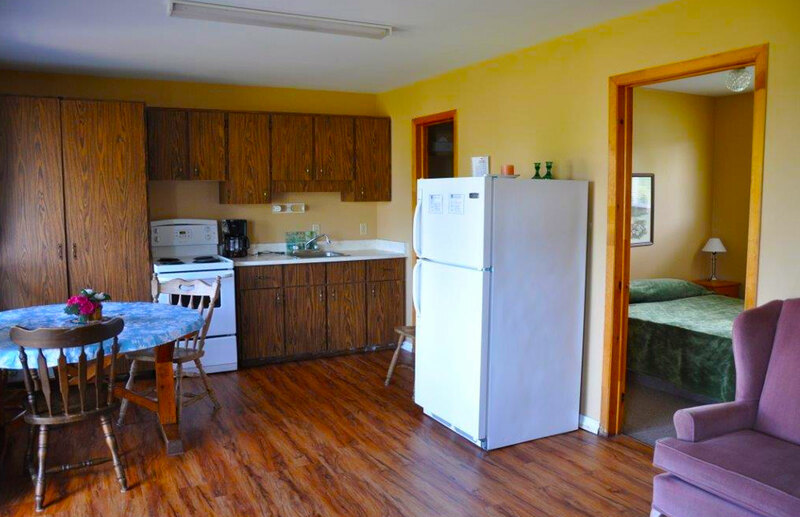 We have 8 open-concept, 2 bedroom units with Air conditioning for rent; the kitchen area comes fully equipped with a stove, fridge, microwave, coffee-maker, dishes and utensils and seating for 6. The living area consists of a futon, occasional chair, coffee table, TV and DVD Player. Our DVD movie library is free to use at your leisure. We now offer Free WiFi for your convenience. All units have a full bathroom with tub and shower. From your patio door you overlook the lake, beach, children’s play area and docking area where a slip is provided for your boat. Each unit has a large picnic table and seating; and for all units there are two community outdoor charcoal barbecues.